UK’s BRC Retail Sales Across All Sectors had a decline and today there are no major economic reports in the UK. The support rests at 1.30530 with resistance at 1.30930 which the weekly pivot point at 1.30730 is located in between the lines. The EMA of 10 is moving with bullish bias in the descendant channel and it is below the EMA 100 and above the EMA of 200. 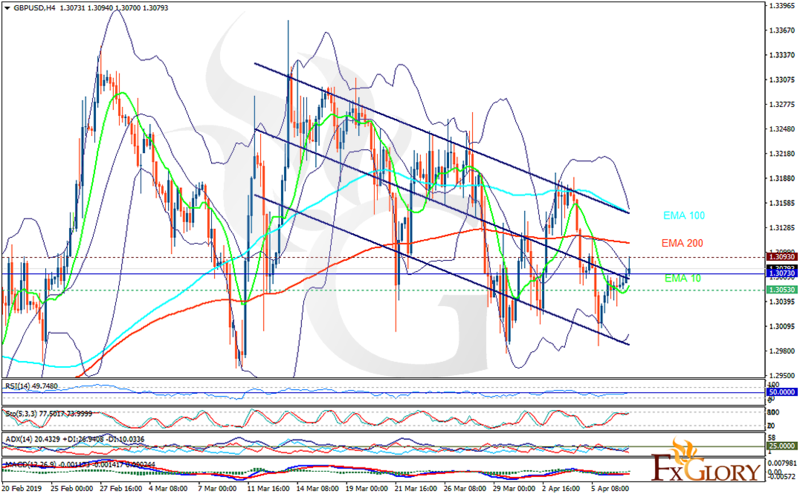 The RSI moving on 50 level and the Stochastic is moving in high ranges. The MACD line is above the signal line in the positive territory. The ADX is showing buy signal. The resistance level breakout may push the price up towards the upper Bollinger band at 1.31500.